I ran into friend and blog commenter Andrew W on the train last week, and we were chatting about the Dandenong South crash. I noted that the design of the train hadn’t really been remarked upon in coverage of the accident, and being the knowledgeable person that he is, he was able to tell me a bit about it. In short, the horrific sight of carriages scattered across the accident scene is the result of deliberate design decisions about what should happen in a high speed crash with something big and solid like a truck. The couplings, as well as strengthened supports at the ends of carriages (in the Comeng fleet, on either side of the end-of-carriage doorway; on others including the carriage corners as well) are designed to absorb the impact and maintain the overall structure of the carriage, because the last thing you want is carriages “telescoping” (passenger cabins coming apart from the undercarriage, and collapsing), crushing large numbers of people inside. The door from the driver’s cabin into the passenger area is there so that if necessary the driver can evacuate the cab, which is likely to take the impact of a head-on crash (though I wonder under what scenario the driver is likely to have the time to evacuate). Newer carriages in Melbourne’s fleet, the X’Trapolis and Siemens, have similar design features, and have improved on them somewhat, though you wouldn’t want to be between the carriages on any of these trains in the unlikely event of a crash — that places you outside the protection of the carriage structure. In the case of Dandenong South, of course, multiple safety precautions had already failed. The level crossing warning signs, flashing lights, ringing bells, and boom gates across the road hadn’t prevented the collision. The death of one passenger (of about thirty on-board) is a tragedy, but it obviously could have been so much worse. Andrew made the comment that if it had been a bus (or any other kind of motor vehicle, for that matter) colliding with the truck, the probability of survival would have been much lower. Along with the fact that the previous death of a passenger in a train accident on the Melbourne suburban system was back in 1946, I think it helps underscores that train travel is extremely safe. The door from the Drivers Cab into the Saloon was not an original feature of the train. It was a retrofit, either for roving guards or drivers shunting and one man operations. (Ie Camberwell when the Alamein shuttle shunts the driver needs to change ends through the train as there is no room to get out of the train between two main lines). End crash protection has improved a lot since the Comeng trains, just look what the A City trains for Adelaide will have. Just wondering whether the couplings are designed to push each coupled carriage end in a different sideways direction under compression. This would help resolve the telescoping, but would throw the passengers at the ends of the carriages sideways. That would probably be the best way to absorb the crash energy. If they just stopped dead and didn’t deform by telescoping, the passengers would all fly forwards anyway and more of them would hit each other, rather than being flung sideways and each person perhaps colliding with two or three others and the walls. Wow…… for someone as ‘blonde’ as me, the visuals of train carriages at all angles looks absolutely disastrous, but thanks to your friend and this blog, I can now see that it’s a safer, better thing. 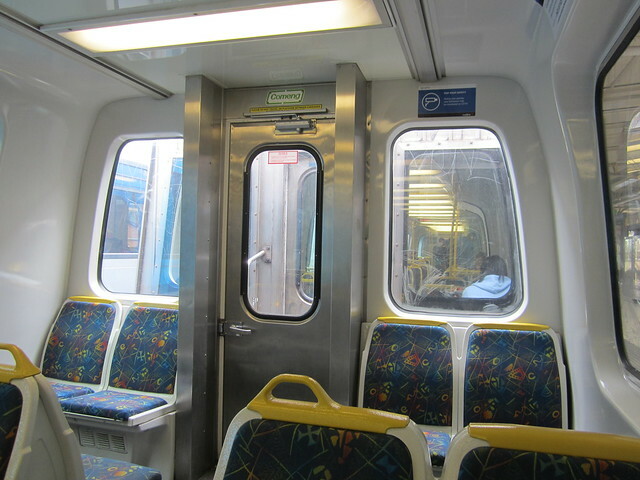 @Chris, good point — yes, the doors were added around the time roving guards were trialled. I must write a blog post on that. Originally there were seats right across the cab wall. 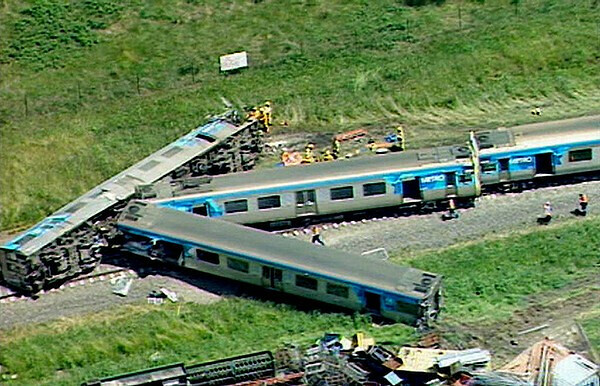 A train which comes unexpected upon the back of another train due to a signalling fault, can take quite a long time to collide with it, compared to a car crash. In the Glenbrook accident, where the blue mountains train ran into the back of the stationary indian pacific, the accident was inevitable with sufficient time for the driver to leave the cab and proceed half way back through the first carriage of the train before the impact actually occured.